Whether you are a part of the corporate world or run your own business, you must be aware that a workplace needs to stay motivated to deliver the best results. In the present day world, amidst all the tight deadlines, meetings, client calls, etc. it is even harder for the employees to stay focused and upbeat. The constant stress and pressure reduce productivity which in turn affects the company’s profit. So, what’s the best way to deal with the situation you may ask? The answer is yoga. Yes, you heard that right, yoga. The thousands of years old ancient practice is not only a great booster of health but also adept at pacifying the mind and making us calmer. This is also the reason why the majority of big corporations like Nike, Apple, Google, Forbes, GM and more are including yoga as part of their corporate wellness programs. A few minutes of yoga every day helps to bring out the best in them and the entire workplace stays active and inspired. What more can you ask an employer? 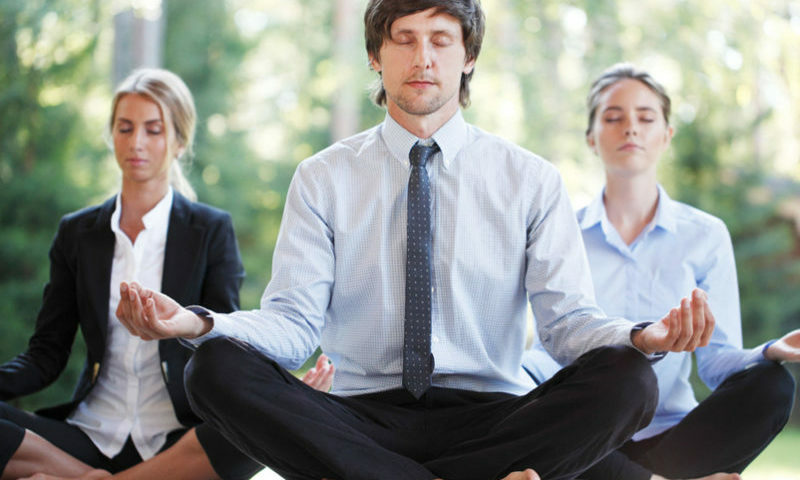 To understand how yoga improves morale in the workplace, let’s take a look at the following points. Apart from the pains and aches which frequently pop-up because of long hours of sitting, you may have experienced bloating, heart-burn, fatigue, etc. at some point of time or the other while working in your office, right? Well, these are all the symptoms of an inactive lifestyle. But yoga is the best remedy for all your health-related issues. Only twenty minutes of practice a day is all that you require to keep your health in optimal condition. The asanas along with the breathing techniques and meditation lead to a complete workout which stretches the muscles, increases oxygen intake and blood circulation and keeps the mind relaxed. As already discussed, stress is one of the major factors affecting the mental health and productivity of workers around the globe. Billions of dollars are lost by businesses owing to absenteeism, reduced productivity, medical fees and employee turnover- all resulting from stress. Yoga has the power to bring the mind to rest and make it relaxed. Pranayama techniques like alternate nostril breathing, triangle breathing and humming bee breath help you let go of the stress, bring back awareness and feel rejuvenated once again. Most of your days end with your mind being occupied by the tasks and challenges faced throughout the day. This not only causes sleep disturbance but also makes you groggy and muddled when you get up in the morning. And you carry those same feelings to your office which in turn ruins your creativity. However, if you indulge in at least 15-20 minutes of yoga practice every morning then it de-clutters your mind and makes you feel alive and fresh once again. With the stressful thoughts melting away, you find back your creativity ready to face the day with determination and focus. Though many people think of yoga as just a practice, it is much more than that. It is actually a way of living which if followed with dedication, can bring profound changes in you both physically and mentally. You learn to accept life as it is and find happiness in the smallest of things around you. In other words, you become an epitome of positivity to people near you. That not only improves your own productivity at work but in turn, makes others around you follow in the same footsteps. Focus and concentration are the foremost factors to increase productivity in the workplace. A workplace creates a lot of mental clutter owing to tight deadlines, back to back meetings, etc. The mental cacophony serves as a barrier to concentration and in turn, affects the overall performance of an individual. Yoga can be practiced to calm the mind and keep it focused at all times. Early morning yoga along with pranayama and meditation helps to de-clutter the mind and bring back the attention to the task in hand. Daily practice of yoga acts like antibiotics for the body. The extensive stretching, deep breaths and meditation practices bolster the immunity power of the body. However, it is important to lead a yogic lifestyle to enjoy the all-round benefits of yoga. It is important to get up early in the morning, indulge in Abhyasa, practice yoga for at least 30-40 minutes, eat only three meals a day (preferably vegetarian) and practice compassion and love, most importantly. Yoga is more of a way of life and much above the perception of simply being a holistic practice. 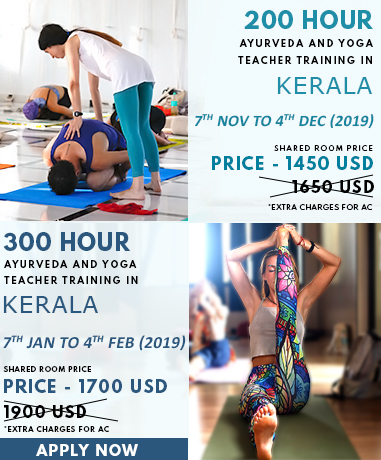 So, in order truly realize how yoga can significantly improve life, it is necessary to maintain a daily practice and follow a yogic lifestyle. Regular practice will not only make you a productive and enthusiastic employee at your workplace but, contribute towards your overall growth as a person.